Put this dynamite Cow Print cocktail ottoman in front of a fireplace, in a lobby or in the center of a living/family room if you need a piece to create an ‘anchor’ in your space. 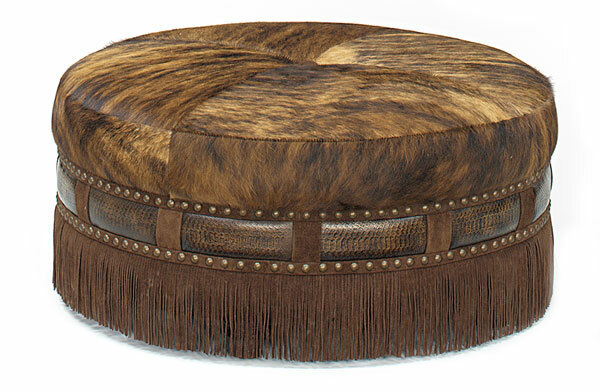 This beautiful cowhide ottoman can be used as an extra seating piece or can be transformed to a cocktail piece with a use of a tray. Great for lake and lodge decor or for introducing a lively texture to any traditional or contemporary room. Just wondering what the cost of the Cow hide ottoman is and where it can be purchased. Love this in my office!